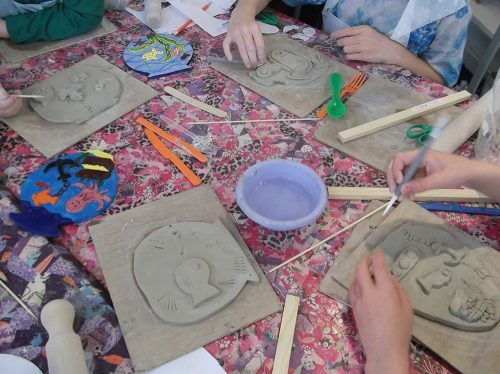 This half term we’re running fantastic Play with Clay drop in sessions where kids (and adults!) can have a go at creating and painting their own clay masterpiece from scratch. £12.50 per person (if you book a table before Sunday 27th May), £15 per person otherwise. We have loads of great examples for inspiration, tools and equipment to use and our staff will be able to guide you through a range of clay building techniques. 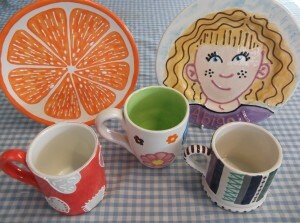 And you can paint your clay piece on the same day with our special ‘straight to clay’ glazes! You can book a table for any time during the session times. Call or email us to book your table now! Price includes: 500g clay, use of ‘straight to clay’ glazes and firing. Extra clay will be available to purchase on the day if required. Collection of finished pieces will be 2 – 3 weeks. Any pieces not painted on the day can be painted after firing, at a later date, with our usual studio paints for a studio fee of £2.50. This Easter holidays we’re running 2 Art Club sessions every Tuesday, Wednesday and Thursday, and a special double session on Friday, starting at 10am and finishing at 12.30pm, from Tuesday 3rd April 2018 to Friday 13th April 2018. Drop your kids off to just 1 session a day or both, you decide! Each Art Club will have a different creative activity every time…some pieces will be finished to take away on the day and others will have to be left with us for firing and ready to collect at a later date. £11 per child for 1 session, or £20 for both on 1 day, £20 for double session Fridays, for ages 6 to 12 years old, with drinks and snacks included. Book your child a place now. Payment must be made when booking. See the full timetable and more info here. This year we are introducing adult only workshops. Perfect for those budding artists who want to create their own masterpieces but who are unsure as to how to go about doing it! The workshops will be led by our knowledgeable staff who will teach you creative and effective techniques and you will use glazes not yet available for general use in the studio to make your own professional looking finished pieces. Places must be booked (by phone or email) and a deposit is payable when booking. For more info, prices and dates click here. This Summer we’re running 2 art club sessions every Tuesday, Wednesday and Thursday and then a special Big Project session every Friday, from the 1st – 25th August, 10am – 12.30pm. Every session will have a different fantastic craft activity and be lead by our helpful and friendly staff members. Drop your kids off to just 1 session a day or 2, you choose! Big Project sessions are our fantastic new session where everyone will work together to create a fabulous giant group project. At the end of the summer this will be displayed for everyone to see in the studio. Big Project sessions will also include a similar smaller individual craft activity so each child has something to take home as well on the day! There will be hints as to what the big project will be, coming soon on our Facebook page! £11 per child for 1 session, or £20 for 2 sessions on 1 day and Big Project Fridays, for ages 6 years to 12 years. Drinks and snacks (crisps, fruit and biscuits etc.) will be provided. See the art club session timetable. 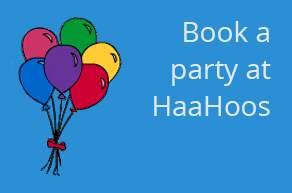 Let your Child Go Wild at HaaHoos! HaaHoos hold a fun activity session, aimed at toddlers and their parents/carers. It takes place every Monday morning during term time. We offer a morning of messy play, creating, painting, & colouring activities to encourage children’s development and creativity. The sessions are £7 per child and that includes painting one pottery item (a different discounted pottery item is available to choose from each week), studio fees (pottery paints, glazing and firing), a range of colouring sheets and crayons, a playdoh creation station, building blocks, tea/coffee & biscuits for the grown ups and fruit squash & biscuits for the toddlers. It’s a wonderful opportunity to let your children explore colours and textures through painting and craft, meet other parents, and you don’t need to worry about tidying up any of the mess! 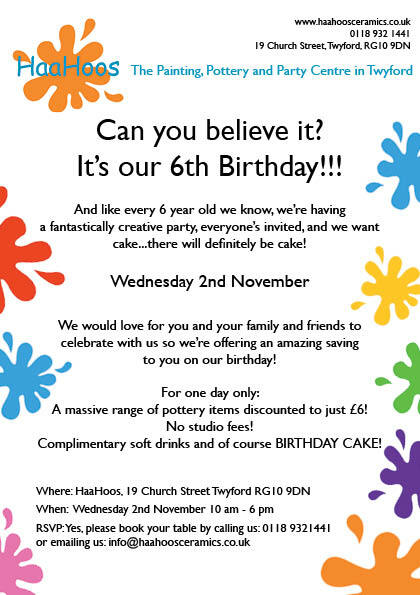 It’s our 6th Birthday and we’re having a fantastic party! It’s that time of year again when we all start to think about the summer… where to go on holiday, what will the weather be like, how to entertain the kids…! Luckily we’ve got that last 1 covered with our fantastic Summer Art Clubs! Our Summer Art Clubs will have a different creative activity each time and be supervised by our friendly, helpful and professional staff. 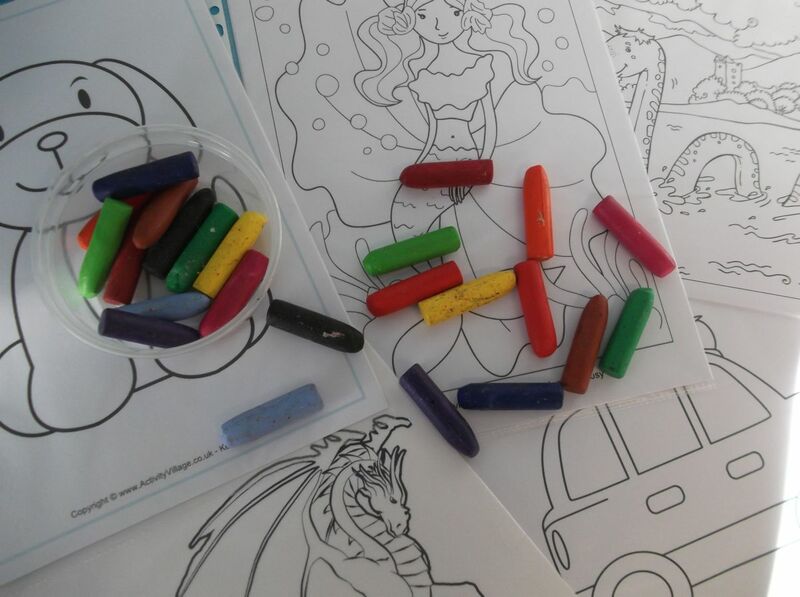 Your children will love to use their imagination to create a really fantastic masterpiece! 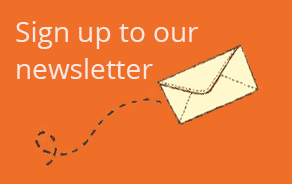 We have some brand new activities this year as well as some firm favourites from previous years. Summer Art Clubs are every Tuesday and Thursday morning during the Summer Holidays 10.30am – 12.30pm. £20 per child per session, or £100 for 6 sessions for ages 6 to 12 yrs old. Price includes drinks and biscuits. Book your childs place now. Fantastic arty and crafty fun with our friendly and helpful staff leading the supervised sessions and inspiring your childs creativity. Art Clubs run from 10.30 am – 12.30 pm and cost £20 per child, suitable for ages 6 – 12 years old. Includes drinks and biscuits. Call to book your child’s space now! Tuesday 29th March : Funky Foam Clay Animals – use brightly neon coloured foam clays to mould and shape a funky design onto your chosen animal shapes. Can be taken away on the day. Thursday 31st March : Dream Big Pillowcase Painting– use fabric pens, paints and glitters to design a fantastically unique pillowcase. Must be left to dry with us overnight. Tuesday 5th April : Graffiti Canvas Pottery Painting– use a combination of stenciling, stamp rollers and shaped sponges to create a canvas graffiti artwork. Must be left to be fired and ready for collection a few days later. Jumping into January with a fabulous painting offer! Brush away those January blues with a spot of creativity and painting with us. For January only we’re offering all families who spend £30 or more on pottery painting (includes the studio fee) a £10 mug or plate to paint completely free! Free mug or plate must be painted at the same time as the initial visit. Drinks and snacks are not included in the £30 value. Call to book your table for painting today! Do your children love getting crafty? Every first Wednesday of the month during school term time we’ll be running a fantastic after school craft workshop! With a different activity each month these fun workshops will give your children a chance to try something new while we supervise the session. Wednesday 6th January: Foam Clay Animals – use bright neon coloured foam clay to mould and shape a funky design onto our animal shapes. Wednesday 3rd February: Love Stamps and Stencils Pottery – create a spectacular artwork on a pottery canvas using our stamps and stencils with a Valentines theme. Wednesday 2nd March: Marvelous Mosaic for Mother Day – create your Mum a marvelous Mothers Day gift using Mosaic pieces. Leave your children with us for the Craft Workshops which will run from 4 pm – 5.30 pm and are suitable for children aged 6 years – 12 years old. Book your child onto a Craft Workshop now!